Edit: Toyota is likely to launch the Fortuner 2.5 Diesel and the 4X4 Automatic variants in early October, in time to meet the Indian car market’s festive season demand. 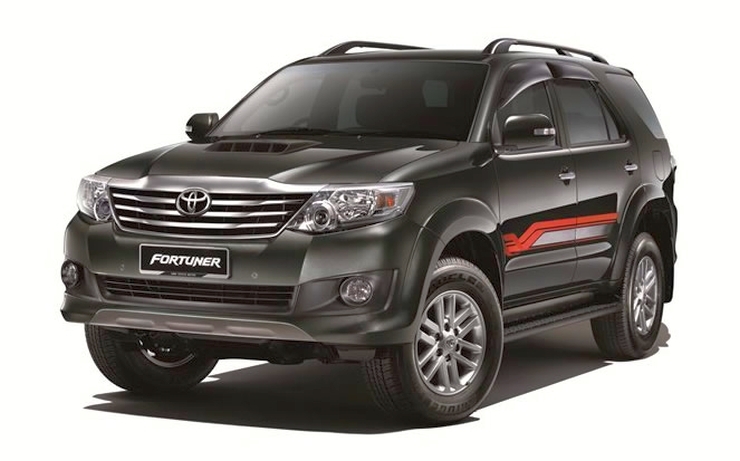 Toyota Kirloskar Motors Limited has reportedly planned to extend the Fortuner SUV range with two more variants. The two variants will sit at the bottom and top of the Fortuner SUV range. The Fortuner is India’s best selling luxury SUV and the addition of the two variants is expected to further boost sales. Currently, the Fortuner averages monthly sales of 1,200 units, a figure that bests its nearest competition, many times over. Out of the two new variants, one variant will be a cut price, entry level version that adds a new, 2.5 liter turbo diesel engine to the Fortuner. The other variant will add a five speed automatic gearbox to the top-end 4X4 variant of the SUV. The entry level variant of the SUV will be powered by a 2.5 liter-4 cylinder turbo diesel engine that outputs 142 Bhp of peak power and 343 Nm of peak torque. The entry level 2.5 liter diesel engined Fortuner is expected to be priced at 21 lakh rupees. Compared with 3 liter-4 cylinder D-4D turbo diesel engine of the current Fortuner, the new engine outputs less power (142 Bhp compared to 168 Bhp, but similar torque, 343 Nm). The new, 2.5 liter D-4D turbo diesel engine is codenamed 2KD-FTV (3 liter D-4D is codenamed 1KD-FTV) and comes with a variable geometry turbocharger. The 2.5 liter D-4D diesel engine was introduced on the Fortuner sold in South East Asian car markets such as Malaysia and Thailand in 2012 itself. Coming to the new top end variant of the Fortuner, the Fortuner 4X4 Automatic is expected to be priced about a lakh higher than the 4×4 Manual variant, at about 24 lakh rupees. Thus far, the Fortuner Automatic was available only in rear wheel drive guise. The addition of a 4X4 function to the Fortuner Automatic is aimed at deflecting competition from the likes of the recently launched Hyundai Santa Fe and the upcoming Mitsubishi Pajero Sport 4X4 Automatic.